FIGS Scrubs Review + GIVEAWAY! 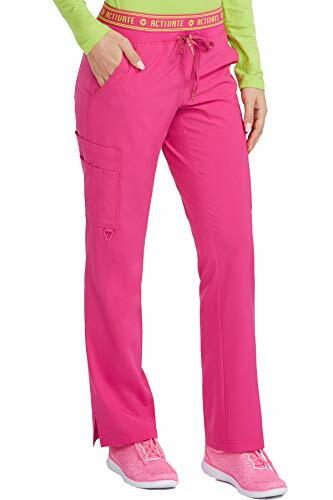 Med Couture Style 8758: These classic cargo scrub pants were made to let you move freely and comfortably throughout your long work day. 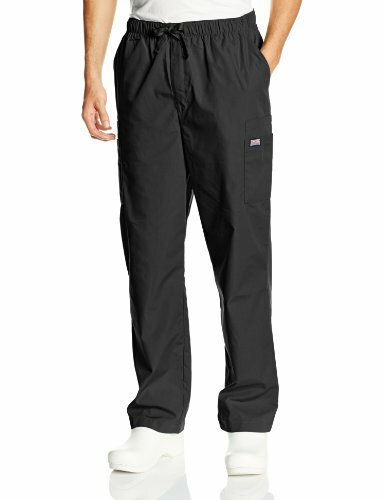 Multiple detailed compartments can be found on the pants cargos, allowing for easy access to all the tools you need.These womens cargo pants scrubs offer the following features: Dual elastic and knit waistband with front tiesDouble cargo pocketsBoot cut with side ventsBack patch pocket with reflectorMed Couture: Where helping people is our lifestyleMed Couture designs, manufactures, and markets cutting-edge, fashion-forward scrubs for the health care industry, featuring high-quality clothing that look good and make you feel good wearing them.But a product is more than a purchasable item; itÍs the byproduct of the company who created it. And Med Couture culture is interwoven into every item they produce: qualities like authenticity, innovation, excellence, quality control, fun, health, and wellness. Believing that business is just people dealing with other people, Med Couture puts the highest premium on the relationships they build with customers and partners as well as those within.Easy Care Instructions: Machine wash cold and tumble dry low. 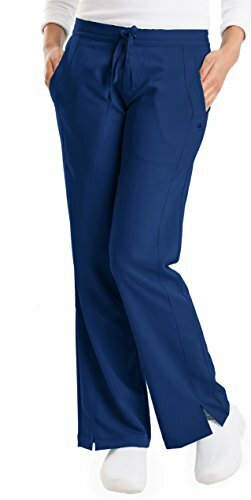 Med Couture Style 8744: Streamlined vertical seam details and simple, yet abundant pocket space are the trademarks of our Paige scrub pant. 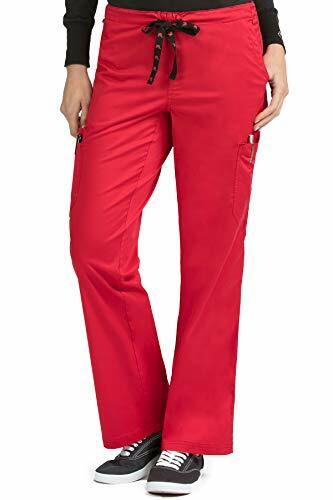 Fun, paneled back pockets and triple needle stitch details continue the linear theme and are sure to make a statement.This womens scrub pant offers the following features: 95% polyester/ 5% spandexSporty yoga waistband with hidden contrast ÒMed CoutureÓ drawstring2 slashed front pockets 2 welt cargo pockets2 back patch pocketsrContrast detailsR: XS-5X (31Ó) | P: XS-2X (29Ó) | T: XS-2X (33Ó)Med Couture: Where helping people is our lifestyleMed Couture designs, manufactures, and markets cutting-edge, fashion-forward scrubs for the health care industry, featuring high-quality clothing that look good and make you feel good wearing them.But a product is more than a purchasable item; itÕs the byproduct of the company who created it. And Med Couture culture is interwoven into every item they produce: qualities like authenticity, innovation, excellence, quality control, fun, health, and wellness. Believing that business is just people dealing with other people, Med Couture puts the highest premium on the relationships they build with customers and partners as well as those within.Easy Care Instructions: Machine wash cold and tumble dry low. 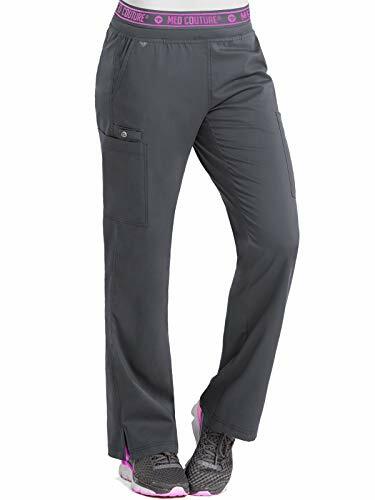 Med Couture Style 8780: This yoga cargo scrub pant was made for every activity you perform on a daily basis, and then some. 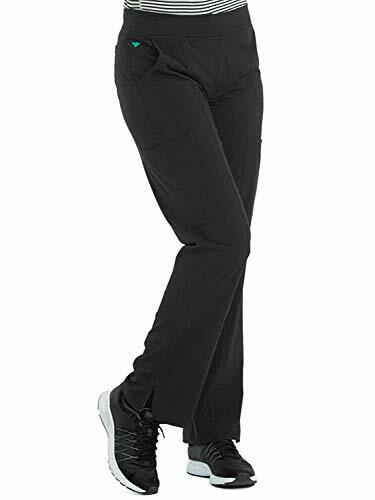 ItÕs both comfortable and functional enough to help you power through a work day with ease while still feeling equally sleek and stylish.These womens scrub pants offer the following features:Trendy yoga knit waistband with front tiesModern tapered leg2 side cargo pockets2 back pockets with reflectorMed Couture: Where helping people is our lifestyleMed Couture designs, manufactures, and markets cutting-edge, fashion-forward scrubs for the health care industry, featuring high-quality clothing that look good and make you feel good wearing them.But a product is more than a purchasable item; itÕs the byproduct of the company who created it. And Med Couture culture is interwoven into every item they produce: qualities like authenticity, innovation, excellence, quality control, fun, health, and wellness. Believing that business is just people dealing with other people, Med Couture puts the highest premium on the relationships they build with customers and partners as well as those within.Easy Care Instructions: Machine wash cold and tumble dry low. The Purple Label line by Healing Hands Scrubs was designed for performance and comfort. The easy care Poly/Rayon blend is durable while still feeling luxurious on the skin. With just the right amount of stretch, Purple Label scrubs are made to move with you through even the longest shift. 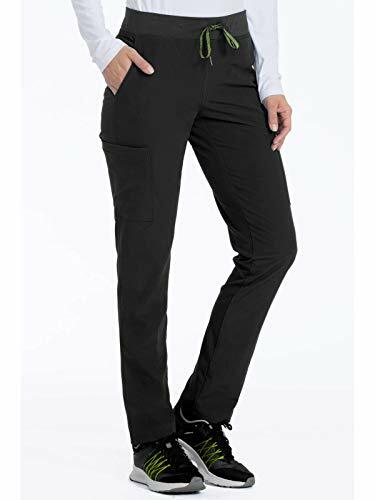 The modern fit "Taylor" pant features a slimming front wrap design that adds no bulk at sides, flat front grommet detail on drawstring, 2 front pockets with back yoke elastic detail. 77% Polyester/20% Rayon/3% Spandex. Modern fit. Regular inseam: 31", Petite inseam: 28.5", Tall inseam: 33". 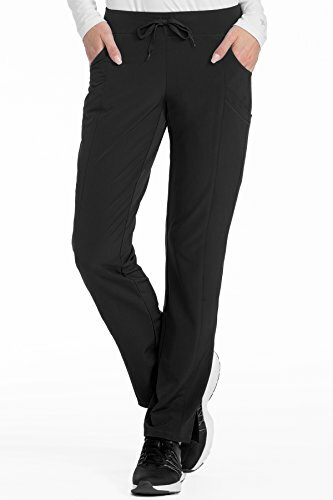 Our Flex-It yoga scrub pant features a classic straight leg silhouette with modern details. It's comfortable yoga waistband features adjustable front ties and the angled back pockets act as a simple, but powerful silhouette enhancement. Shopping Results for "Two Pocket Scrub Pant"